It’s Summertime And The Grillin’ Is Easy | Buy Me a Pie! Share the post "It’s Summertime And The Grillin’ Is Easy"
We are right in the middle of prime grilling season. Warm summer nights just seem to call us to fire up the grill. It certainly is more appealing than heating up the house by turning on the oven. Hamburgers and hot dogs are grilling staples but there is far more to be cooked up. 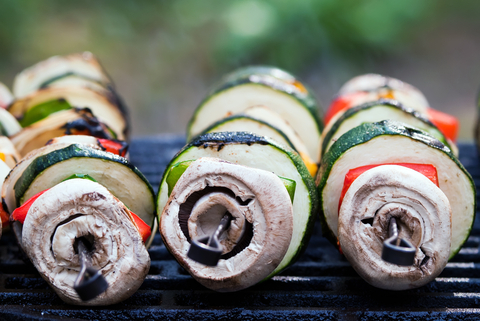 Break out of your grilling rut with some of these flavorful and creative options. You can soak your kabobs in a marinade for about 20 minutes before grilling or simply add salt and pepper and a bit of olive oil (or oil your grill). Tip: Use flat skewers or insert two skewers parallel to each other, to prevent the food from spinning on the skewer when flipping the kebab. If using wooden skewers soak them for 30 minutes in water to prevent burning. Did you know you can cook an entire meal inside a little foil packet on your grill? I don’t think it can get much easier than that (did you just add foil to your grocery list app?). All you need to do is add your desired food, such as boneless skinless chicken breasts, potato wedges and green beans, to a piece of foil. The foil needs to be large enough to fold up and over like a little package. Be sure to add any seasonings you want to cook in your foods. Then just place the packets on the grill. You may need to open a packet or two to check for doneness. You can also do this with just the veggies. Pizza on the grill? You bet! It adds that delicious smokey, fiery flavor you get in a woodfired pizza restaurant. It’s important to have all of your ingredients ready and at hand when grilling pizza. Prepare your dough and roll it out in a size and shape that fits your grill and is manageable. Heat your grill well and oil the grilling surface (this can be done with paper towels folded and held by tongs, then dipped in oil). Place your dough on the grill. Allow it to cook until the top is bubbling and looking drier and more cooked. Use tongs to flip it over. Quickly top your pizza as desired. Close the grill lid to allow cheese to melt (if using) and the crust to finish cooking. This is a great time to experiment with new toppings and it is best to not overlaid it with heavy sauce and cheese. In just a few minutes at the grill you can have amazing, gourmet-tasting pizza for dinner. Grilling seafood can give it an amazing flavor but seafood can also tend to be a bit more delicate on the grill. Larger shrimp can be placed directly on the grill or on skewers. You can also try your hand at cedar plank salmon. Invest in a fish basket that can be used on the grill, and even over a fire, to cook delicate fish without the sticking and falling apart that often intimidates home cooks. Burgers and dogs are fine sometimes. 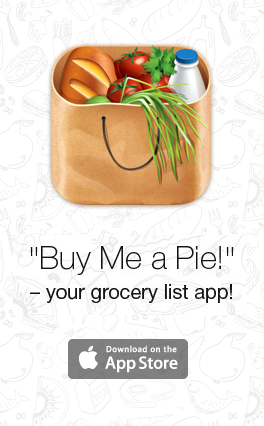 But take some inspiration and add something a little different to your grocery shopping app. You might be surprised by how often you find yourself grilling without ever getting bored.